Former Ecuadorean Foreign Minister Guillaume Long on Venezuela's long crisis, the irresponsibility of Western responses and the growing risk of civil conflict. On January 23rd the long-running political crisis in Venezuela took on a new character when Juan Guaidó, who had recently been installed as president of the country’s opposition-led National Assembly, declared himself interim President of Venezuela, in an attempt to oust the incumbent Nicolás Maduro. On Twitter, Donald Trump announced that his administration would officially recognise Guaidó as Venezuela’s President, and was soon followed by Canada. In recent days the leading states of the European Union released a common statement announcing that they too would recognise Guaidó if elections were not declared within eight days. 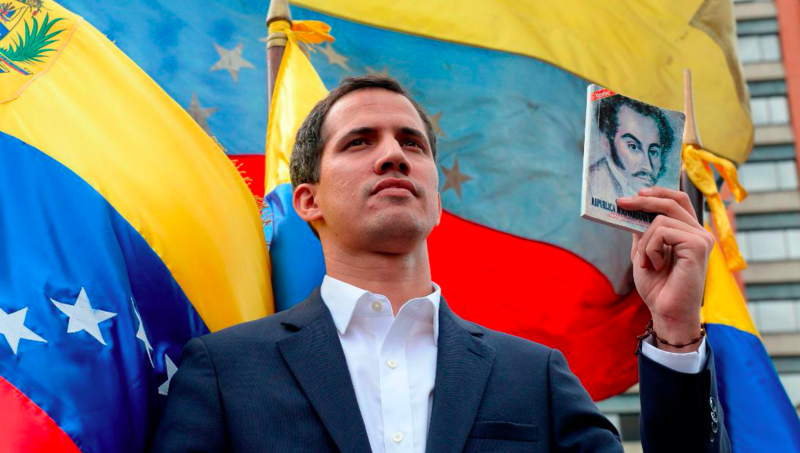 Guaidó’s move has been broadly condemned by the international left as an attempted ‘coup,’ with MPs from the Labour left condemning the move as an attempt at “regime change” in a letter to the Guardian. This, however, has done little to impede the move against Maduro’s government by the West, with the latest escalation of sanctions resulting in the Bank of England refusing to allow the withdrawal of $1.2 billion worth of gold the Bolivarian Republic had stored in its vaults. What we’ve been seeing is a speeding up of history, of a situation that has been developing for some time in Venezuela. There is a significant economic, social, political and institutional crisis. A number of the country’s institutions are in conflict, and in fact do not recognise each other’s legitimacy. The executive branch does not recognise the legislative branch, and vice versa. This has been developing since the parliamentary elections in 2015, becoming steadily more polarised and radicalised in the process. This extreme polarisation that we’re seeing in Venezuela is the product of a society that is deeply divided, with substantial parts of the population backing either side. This is particularly important to understand in the West, where the media has given the impression of an overwhelming consensus against Maduro in Venezuelan society. If we don’t understand that both sides have support, significant and costly mistakes will be made. Opposition members of Venezuela’s National Assembly voted to open an investigation into the government of Nicolás Maduro in 2017. It is clear that there is now a sizeable anti-Maduro camp in Venezuela, which is no longer limited to the country’s elite. Whereas for many years, particularly during Chávez’s presidency, the opposition was drawn almost entirely from the elites or the upper middle-class, its base has now spread to more popular sectors of society. Similarly, there is a strong chavista camp, which in some cases is very loyal to Maduro, and in others is more critical of Maduro, but is still hostile to Guaidó and more generally to the Venezuelan opposition. In the wake of Guaidó’s announcement, the United States and Canada recognised his victory. The major European states have followed by saying they would recognise him if new elections were not called in eight days. How do you assess this response from the West? I think it is a serious mistake to further polarise the situation right now. To radicalise positions on either side of that political divide in Venezuela is to run the risk of increasing violence. There are already significant levels of political violence in the country – in 2017 a rogue pilot used a helicopter to attack the Supreme Court, last year there was a drone attack on a Maduro rally, security forces have cracked down on opposition demonstrations and killed people, there have been periodic outbreaks of guarimbas, the violent roadblocks set up by certain sectors of the opposition, and we have the deaths of the last few days. This situation could fast descend into civil conflict or even civil war if tensions are further exacerbated. In fact, in recent days former Spanish Prime Minister José Luis Rodríguez Zapatero, who has been involved in the negotiations between the two sides in recent years, warned of the possibility of a “civil conflict with dramatic consequences.” He spoke about the two blocs, and two categories of people – chavistas and opposition – who were committed to their perspectives. Former centre-left Prime Minister of Spain, José Luis Rodríguez Zapatero, has been involved in mediation efforts in Venezuela since 2015. Clearly, there have been significant changes in Latin American politics in recent years, with power flowing away from the string of left-wing governments elected since the turn of the century and towards an increasingly-hardline right-wing movement. The most dramatic recent example of this was the election last year of right-wing demagogue Jair Bolsonaro as president of Brazil. What do you believe is the regional context of the latest Venezuelan crisis? It is important to remember that Chávez was an uncomfortable character for the Latin American right-wing and regional elites from the beginning. The coup against his government in 2002 wasn’t supported just by the United States and Aznar’s Spain, it also had the endorsement of a number of regional powers, most notably in Colombia. This was because of his radical agenda, not just for Venezuela but for the continent, which questioned the historic role of regional elites and called for redistribution of wealth and power. During the period known as the Pink Tide in the West, a number of left-wing regional governments were elected which were more sympathetic or, at least, less hostile to Venezuela. However, since the rise of the right in recent years, we have seen Venezuela placed at the centre of the left-right divide in the continent. It has impacted the debate in every single Latin American country. During the election of Andrés Manuel López Obrador (AMLO) in Mexico, every day there were stories about how he was going to turn the country into Venezuela. In the Brazilian election too, the debate over Venezuela played a major role. All of politics in Latin America, both within states and between states, has been contaminated by the Venezuelan crisis, which means its resolution is not only about Venezuela, it’s also about the region and its capacity to process crises in the twenty-first century. 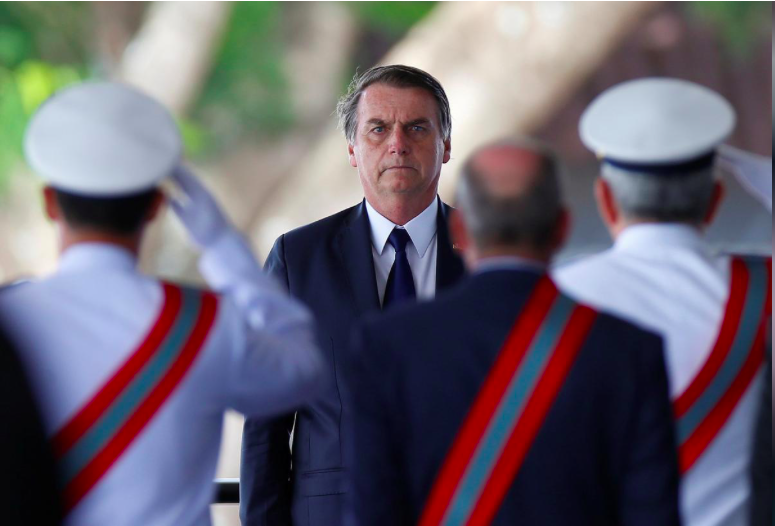 The election of hardline right-winger Jair Bolsonaro as President of Brazil last year has changed the political temperature across Latin America. 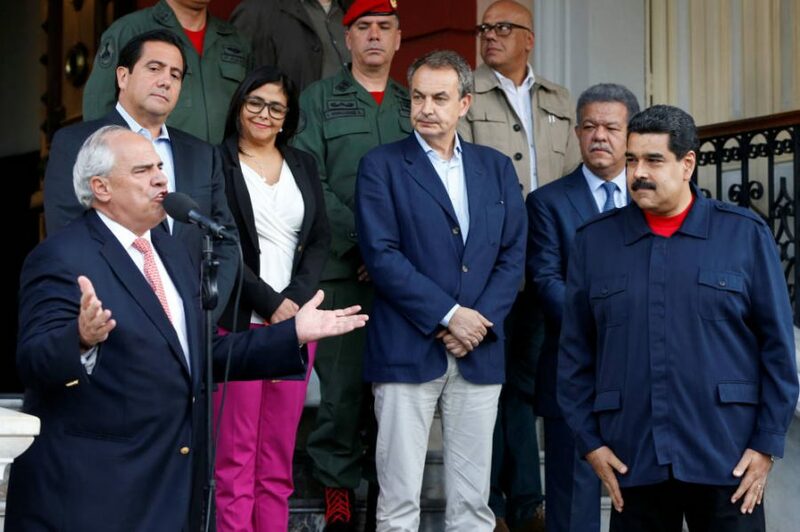 Crucial players in all of this are the Lima Group of key regional right-wing governments, which was convened in 2017 to respond to the Venezuelan crisis. They have been pushing an extremely hawkish line: non-recognition of legitimacy of Maduro, non-engagement with his camp, recognition of Guaidó, etc. As for the European Union, and its constituent powers, it is showing signs of adopting the Trump and Lima Group line. I think it is important that the European Union does not follow this path. 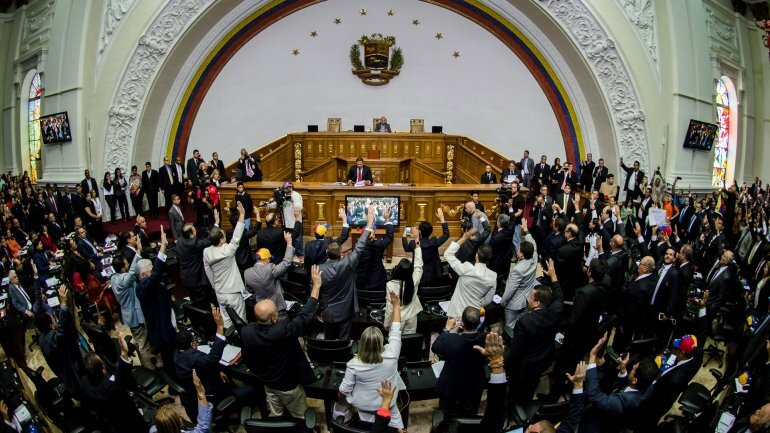 Initially, they seemed to show restraint, but recent statements about recognising Guaidó subject to elections within eight days fall in line with this hawkish approach. We were just saying how Venezuela is divided between these two camps, but the world is also divided in many respects. Clearly, in Latin America now the right-wing camp is ascendant. But even then the Lima Group did not manage to pass its motion in the Organisation of American States (OAS) meeting, which sought formal recognition of Guaidó’s presidency. There weren’t enough votes for it even with the regional shift. Then you’ve got the geopolitical realities too, with Russia and China backing the Maduro government even if the West is backing Guaidó. Then the second was the so-called ‘former presidents’ initiative. This included Zapatero, as we mentioned, as well as the former President of Panama, Martín Torrijos, the former President of the Dominican Republic, Leonel Fernández, and then later on the former President of Colombia, Ernesto Samper, who was Secretary General of UNASUR at the time. For a while, both sides were sitting at the same table. Some of the immediate issues were resolved, even if the more long-term issues clearly weren’t. 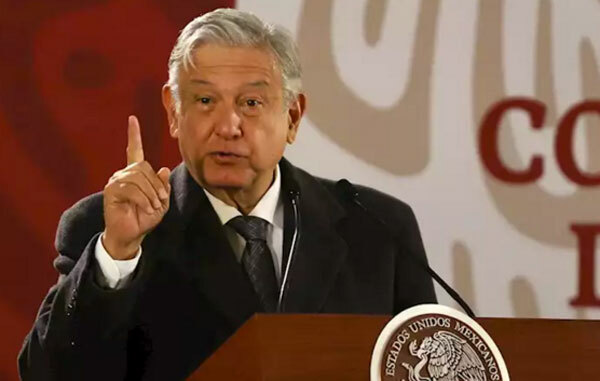 The government of Andrés Manuel López Obrador in Mexico has offered to mediate in the crisis, along with the Republic of Uruguay. The last round of talks that took place centred on last year’s election and involved former Spanish Prime Minister José Luis Rodríguez Zapatero. I was not part of the talks, so I can only go by what Zapatero said. His statement made clear that there was an agreement, until the last day, for a process of what he called “normalised operation and development of democratic politics.” But the opposition then pulled out of this deal, a move which he criticised. This is an argument used now by the Maduro government, but which is totally absent from the narrative in the Western media. So, we have some evidence that dialogue can work. There has also been a big development in these terms in recent months. The Venezuelan opposition has been deeply divided ever since Chávez came to power, and has never really found a figurehead. There have been key leaders including Henrique Capriles, Leopoldo López and others, but the opposition has largely been divided. It is hard to see how the Guaidó camp can succeed on its own, without the military and with society deeply divided. Even with the support of the Western powers. The escalation of sanctions is going make the situation increasingly untenable. Economic sanctions always hurt the poorest in society and have been a substantial contributor to Venezuela’s economic crisis. They will also, in all likelihood, prevent the Maduro government from engineering the kinds of change that would increase its support base to pre-2015 levels. Venezuela’s crisis has already produced a huge migratory crisis – and further escalation into violence would make this much worse. We have seen in Syria, Iraq and Libya some of the potential outcomes in this regard. I don’t think even the continent’s right-wing governments have the stomach for that. This realisation may eventually lead a growing number of Latin American states, including members of the Lima Group, to understand that the Venezuelan crisis should be resolved at the negotiating table.